Situated in Brinchang, this hotel is within 1 mi (2 km) of Sam Poh Temple, Mossy Forest, and Cameron Highland Golf Club. Parit Falls and Cactus Point are also within 2 mi (3 km). A coffee shop/café, laundry facilities, and tour/ticket assistance are available at this smoke-free hotel. Free WiFi in public areas and free self parking are also provided. All 18 rooms offer free WiFi, rainfall showerheads, and LCD TVs with satellite channels. Guests will also find coffee makers, hair dryers, and showers. The hotel offers a coffee shop/café. Public areas are equipped with complimentary wireless Internet access. This Brinchang hotel also offers tour/ticket assistance, laundry facilities, and an elevator (lift). Onsite self parking is complimentary. 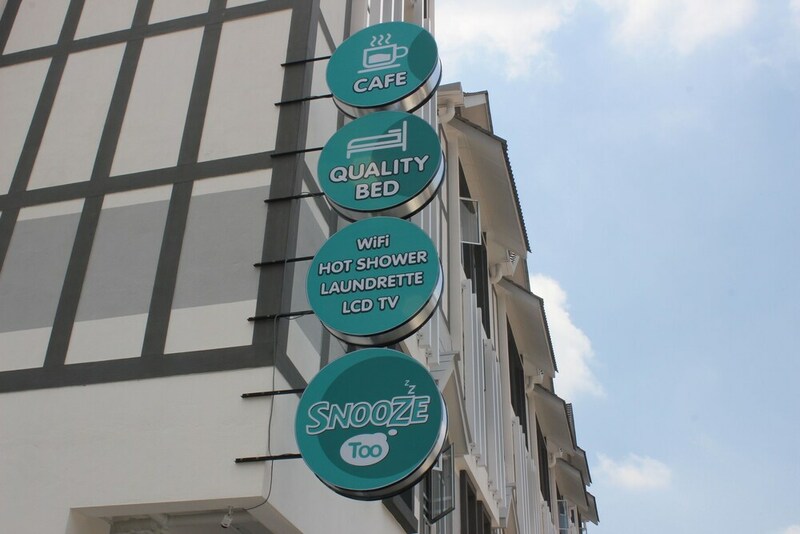 Snooze Too is a smoke-free property. The front desk is open daily from 2:30 PM - 10 PM. Rollaway/extra beds are available for MYR 40 per day. This is an AirAsiaGo Rate property.